All season long the focus has been on NASCAR’s “Big Three”. Three drivers who won a majority of the races and were picked by many to be among the four championship contenders at Homestead. That number almost became two Sunday at Kansas. After finishes of 23rd and 15th in the first two races of the Round of 12, Martin Truex Jr. was in serious danger of not advancing to the next round and the chance to defend his title. Both Kevin Harvick and Kyle Busch were able to clinch on points during the race, but Truex spent the afternoon at the track where he swept last year’s races and finished second in the spring, struggling, and below the cutoff line to advance. His struggles were evident when he ended up with only one out of possible 20 stage points. 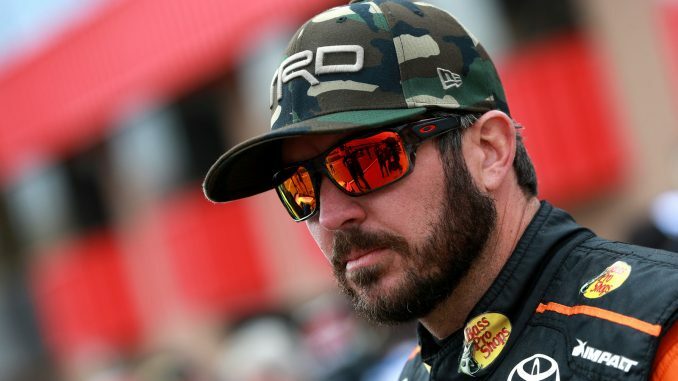 But in the closing laps, Truex and his team were able to rally, and at the end of day Truex found himself with a fifth-place finish and moving onto the Round of 8. 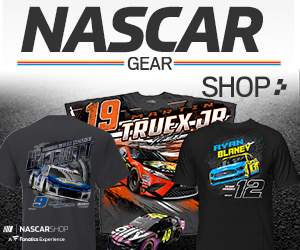 “It was a tough day – blue–collar day for sure,” Truex said. “We worked hard and the guys never gave up on the car. They kept working on it for me and I just kept trying to get all I could out of it. The pit crew saved us today, they were unbelievable. They are probably the reason we transferred on. That’s something you need going down the stretch for a championship. “At times it was pretty bad and not much fun. That’s part of this deal. This stuff is hard man. It shows how difficult it is to win both races here last year and run second in the spring and then come back trying to be better and struggling all day. But we still managed to get fifth. Truex left Kansas third in the Playoff point standings; behind Kevin Harvick and Kyle Busch.